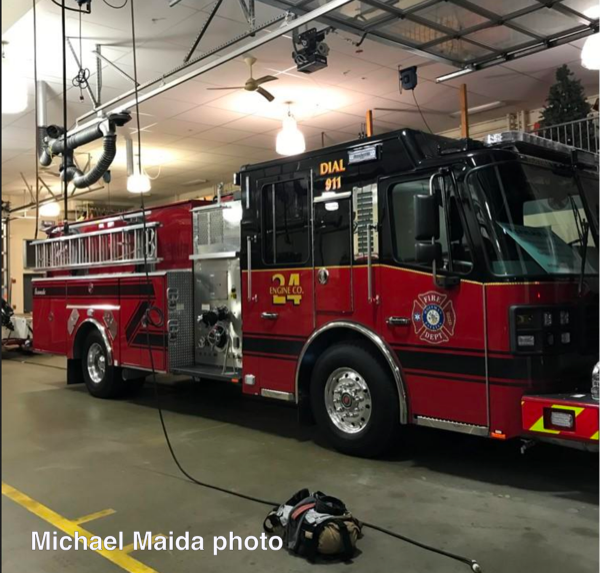 This entry was posted on November 7, 2018, 3:30 PM and is filed under Fire Department News, Fire Truck photos, New Delivery. You can follow any responses to this entry through RSS 2.0. Both comments and pings are currently closed. I thought it would have gone to 21 also. Crabby, that is just a loft type storage area at Station 24. Looks great with those dark colors. Looks like they’re getting ready for Christmas if you look toward the upper right hand corner. Thought it was going to engine 21? ?